#OTD-ish 28 October 1968 The chorus of the Women’s Detention Center (1010 North Capitol St, NW) was practicing for an upcoming performance. In the photograph above, the chorus convenes in a chorus member’s “tiny room” to practice. 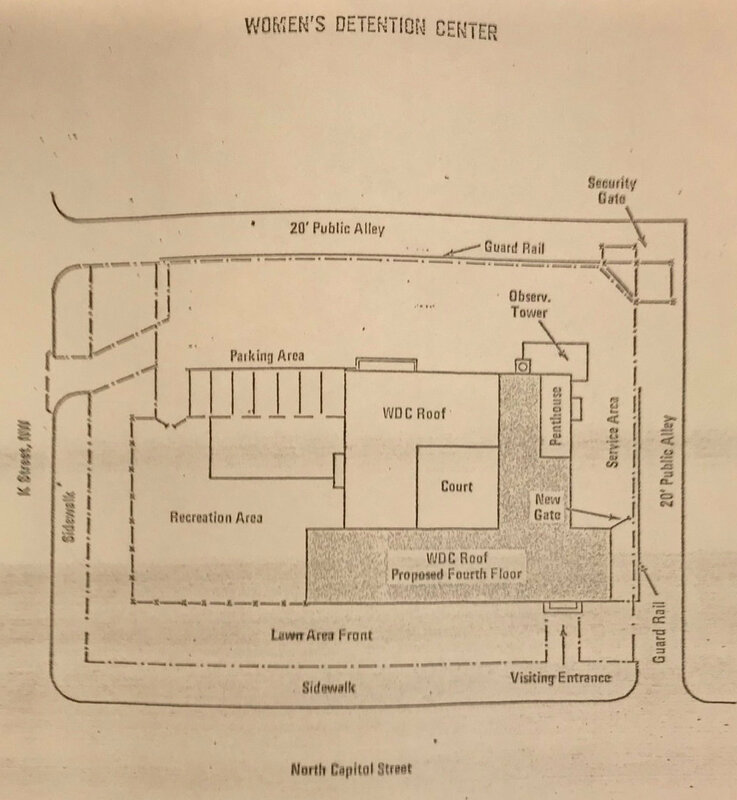 Map of Women’s Detention Center, Courtesy of American University Law Library, LAWCOR files, Box 89, 1973. Earlier in 1968, two individuals escaped from the detention center. There were also other individuals who supported protests at the prison for men in Lorton, Virginia by setting fires in the detention center. See the 22 April 1968 story to learn about National Welfare Rights Organization activists who were arrested and taken to the Women’s Detention Center after protesting changes to welfare legislation by an overwhelming white and male Congress. Your comments are welcome below. Do you, family members or neighbors remember the Women’s Detention Center? Were you detained in the Women’s Detention Center? Did you work at the Women’s Detention Center? Do you remember the chorus? Do you have any photographs or memorabilia? You may comment privately here. Photo source: Courtesy DCPL Special Collections, Evening Star Photo Collection. 4 January 1970. Photographer unknown.